Aim: Due to the weakness of endodontically treated posterior teeth requires more strengthened restoration to withstand occlusal forces. The purpose of the present study was to determine and compare the resistance to fracture of endodontically treated maxillary 1 st premolars restored with different materials in mesio-occluso-distal (MOD) cavity preparations. Materials and Methods: MOD cavity preparations in 80 endodontically treated maxillary 1 st premolars were restored using four different methods. Fiber rings were filled with stone plaster and the teeth were placed into the plaster up to the level of cemento-enamel junction. The teeth were grouped according to restorative method, mounted in an Instrom T.T. machine, and the buccal walls subjected to a slowly increasing compressive force until fracture occurred. 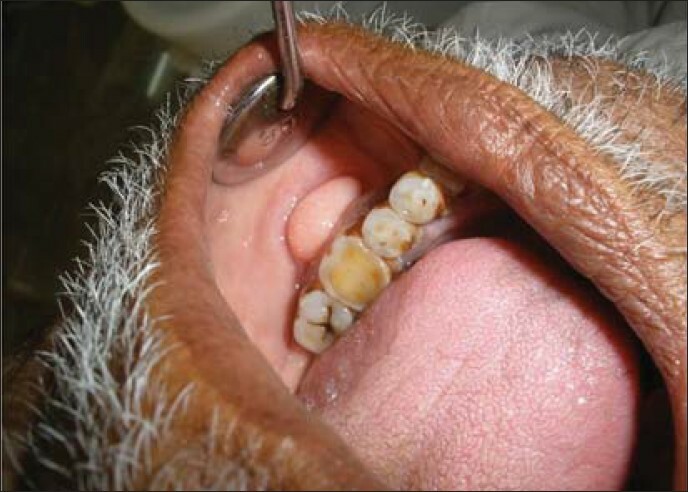 Result: The force of fracture of the walls of each tooth was recorded and the results in the various groups compared. All teeth fractured in a similar manner irrespective of the restorative method used. Conclusion: The resistance to the fracture of the teeth was the same when they were stored with glass ionomer cement as a base over which composite resin was placed. 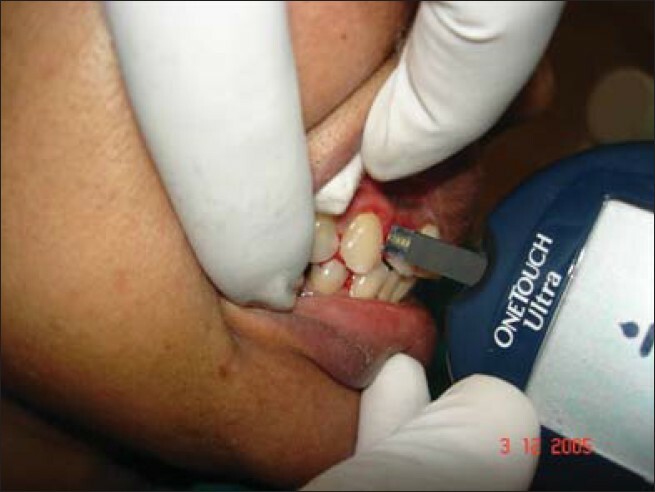 When the entire cavities were filled with glass ionomer cement, the resistance to fracture of the teeth decreased significantly compared with the acid etch resin technique. 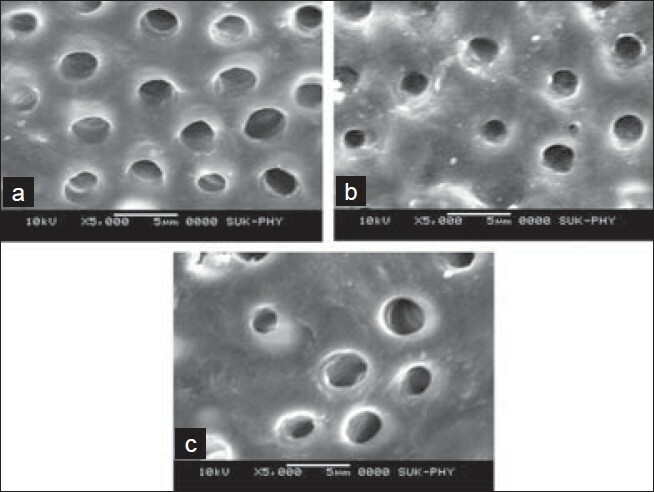 Background: The aim of the present study was to evaluate and compare the ability of a mixture of tetracycline isomer, citric acid and detergent (MTAD) and ethylene diamine tetra-acetic acid (EDTA) in removing the smear layer along with their effects on peritubular and intertubular dentinal structures by scanning electron microscopic (SEM) examination. Materials and Methods: Thirty recently extracted maxillary and mandibular single-rooted human teeth were divided into 3 groups and prepared to an apical size of 30. In Group 1, 2, and 3, MTAD, EDTA, and distilled water were used, respectively, as a final rinse solution to remove the smear layer. The specimens were subjected to SEM evaluation for the presence or absence of the smear layer and degree of erosion using a scoring system. Results: The result showed that MTAD shows better smear layer removing ability and does not significantly change the structure of dentinal tubules. Conclusion: MTAD is an efficient solution for the removal of the smear layer, especially in the apical third of root canals, and does not significantly change the structure of the dentinal tubules. Background: Melatonin, a secretory product of the vertebrate pineal gland, activates several elements of the immune system that reduce tissue destruction during the inflammatory response, either directly by scavenging free radical, reactive oxygen species and reactive nitrogen species or indirectly by modulating the action of agents such as cytokines and adhesion molecules, which contribute to the advance of cell damage. Aim: The aim of this study was to evaluate melatonin levels in saliva in periodontal health and disease. Materials and Methods: This study was conducted on a total of 20 patients with healthy periodontium and 20 patients each with mild, moderate and severe periodontitis who were patients in the Department of Periodontics, Rural Dental College and Hospital, Loni. The salivary levels of melatonin were assayed using ELISA, a competitive immunoassay using a capture antibody technique. Results: We observed that the periodontitis sufferers had a significantly lower melatonin level than the healthy subjects. Conclusion: Consequently, the reduction in the saliva production with higher age and the decreased melatonin production in older adults reflected in low salivary melatonin levels predispose these individuals to an increased risk of developing oral and periodontal disease. Background: It has become apparent that every pathologic process in the body involves the immune system. Periodontal inflammation is not an exception. Periodontal health depends on the interaction of microbial flora and host response. 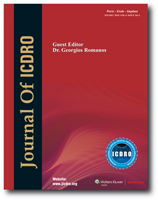 Since long, research is focused on understanding the immunopathologic mechanism operating in the development and maintenance of periodontal inflammatory changes. Methods: Patients of age 20-35 were selected. Nonstimulated saliva was collected and assessed using radial immunodiffusion assay to estimate levels of IgA. Results: The present study suggests patients with gingival index 0.2-0.5 and periodontal index 0 have a concentration of IgA less than 21.4%. As values of gingival and periodontal index go on increasing, the concentration of salivary IgA also increases. Conclusion: the concentration of salivary IgA is directly and positively correlated to severity of inflammation. Also the concentration of IgA depends on the presence of plaque. Background: Diabetes mellitus is a common finding in the medical history of patients receiving treatment for periodontal disease. The incidence of diabetes is on the rise worldwide. Virtually, every dentist and especially the periodontist are likely to encounter an increasing number of undiagnosed diabetic patients. The conventional laboratory methods employed to detect blood glucose are time consuming and require elaborative equipment. The advent of blood glucose monitors allows the clinician to assess blood glucose at the chair side. Materials and Methods: The use of gingival capillary blood as a marker for blood glucose estimation using glucometer against the conventional laboratory method has been assessed in 60 diabetics and 70 controls. Results: The correlation between gingival and finger-stick blood was r = 0.996, P<0.001 in diabetics and controls. Correlation between gingival and laboratory method was r = 0.994, P<0.001 in cases and controls. Conclusion: The results suggest that capillary blood from the outer surface of gingiva provide an acceptable source for measuring blood glucose. 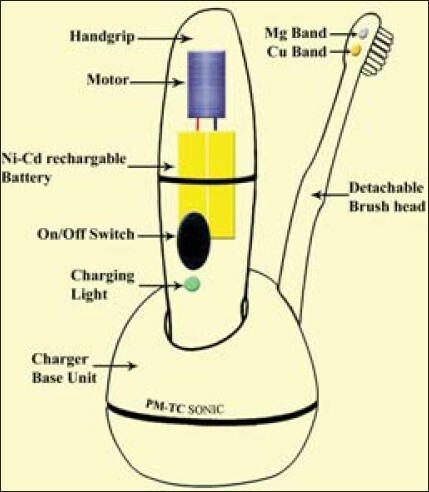 Objectives: The purpose of the present study was to clinically evaluate and compare the efficacy of an electrically active sonic toothbrush and an oscillating/rotating powered toothbrush in the reduction of plaque and gingivitis. Material and Methods: For this study, 40 healthy student volunteers (20 males, 20 females) were selected. The subjects were randomly assigned into two groups by a second examiner; one group used a current producing sonic toothbrush and the other group used a battery powered toothbrush. Plaque Index, Modified Gingival Index and Gingival Bleeding Index were assessed at baseline, 15 th day, 30 th day, 45 th day and 60 th day. Results: All the baseline indices appeared to be well balanced. At the end of the study, reduction in plaque index, modified gingival index and gingival bleeding index were statistically highly significant during each interval for both the toothbrushes. The difference in reduction of clinical parameters between the two toothbrushes was statistically non significant. Conclusion: Both the toothbrushes used in this study were clinically effective in removing plaque and improving gingival health. Objectives: To determine the effect on caries diagnosis of exposure reduction on intraoral digital radiographs compared with optimally exposed film images. Materials and Methods: F-speed film radiographs of 61 extracted molars and premolars were made with optimal exposure parameters. The teeth were radiographed using a complementary metal oxide semiconductor (CMOS) digital system with exposures equal to 50%, 30%, 20%, 10%, and 5% of the film exposure. Five observers, who were permitted to adjust brightness and contrast on the digital images, scored the proximal and occlusal surfaces for the presence of caries using a 5-point confidence scale. Areas under receiver operating characteristic (ROC) curves represented accuracy of caries detection. Sensitivity and specificity were also calculated. The significance level was P = 0.05. Results: All digital images resulted in lower diagnostic accuracy than film images for all lesions (P ≤ 0.036) and for caries in enamel only (P ≤ 0.030). With dentin caries, there were no significant differences between film and any digital radiographs (P ≥ 0.065) except the 5% exposures (P ≤ 0.034). Digital radiographs of 5% of the exposure of film were significantly poorer than all other exposure categories (P ≤ 0.014) except for the 10% exposures for accuracy for all lesion sizes and for dentin lesions only. 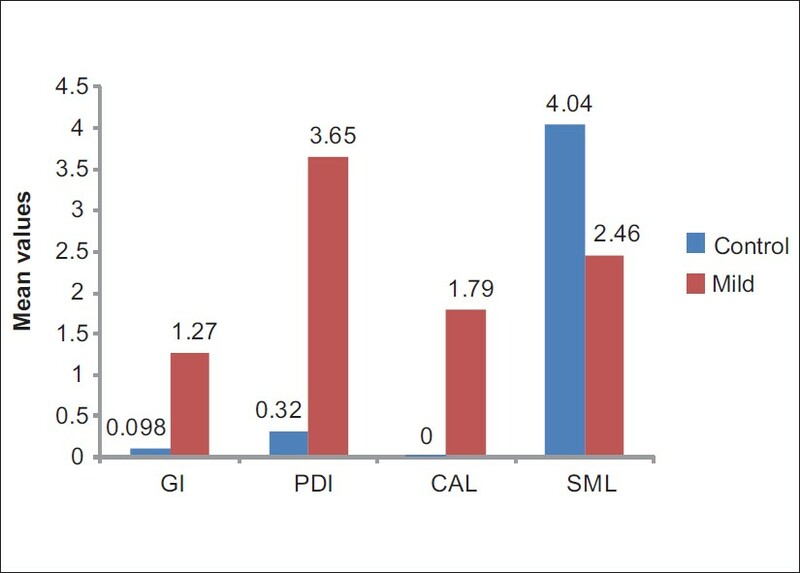 Exposures at 10% and 20% resulted in lower sensitivity scores for enamel caries, while 50% exposures were associated with the poorest specificity. Conclusions: Exposures of 30% of optimal F-speed film exposure settings appear to balance acceptable levels of accuracy, sensitivity, and specificity for caries detection. Observer-controlled enhancements were ineffective at extremely high and low exposures. Ewing's sarcoma is a rarer malignancy, occurring usually in childhood. In majority of reported cases, the occurrence of this tumor is predominantly in the mandible than in the maxilla. Prognosis remains poor in most of the cases; however, better survival rate is possible with early diagnosis and combo therapy. 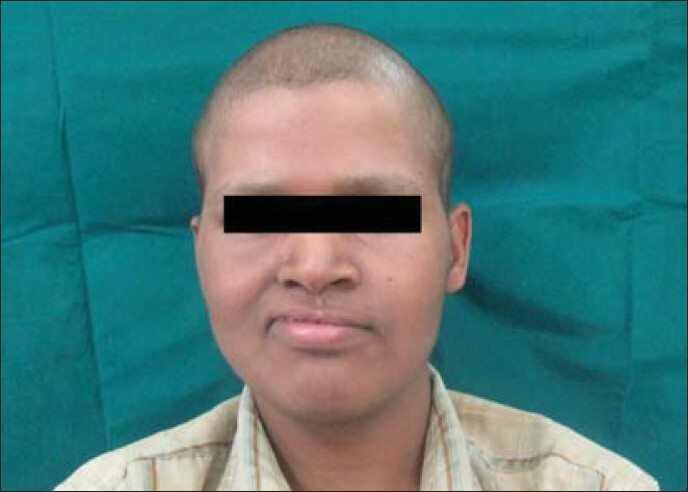 A case of Ewing's sarcoma of the maxilla and its ramifications in the associated structures is presented here. We are also discussing complete clinical, radiographic, and histologic evaluation of the case. Lipomas are benign mesenchymal tumors that originate in mature fat cells, usually surrounded by a thin fibrous capsule. They are relatively rare in the oral cavity, accounting for 1% to 4% of all benign tumors and 0.5% to 5% of all benign oral cavity tumors. We present a case of a 60 year old male, who presented with a growth in lower left buccal mucosal region extending from mesial aspect of 35 to distal aspect of 36 that was treated by intra oral local excision. The purpose of this report is to highlight the existence of this rare but not uncommon disease and to emphasize that a high index of suspicion is needed in making a diagnosis. surgical excision as treatment is associated with an excellent outcome.